Innovation continues to change the way healthcare is provided across Australia, but the delivery of new infrastructure is not without its challenges. The funding of healthcare is one of the best investments governments can make. A universal need that benefits the entire population regardless of age, gender or income, healthcare funding is always a hot topic come election time. According to the Australian Institute of Health and Welfare (AIHW) more than $155 billion was spent on healthcare in Australia in 2012-2013, with the federal government contributing $63.5 billion and state and territory governments contributing $41 billion. Despite this seemingly significant investment, the Australian Medical Association’s (AMA) Public Hospital Report Card indicates that performance of Australia’s public hospitals remains less than adequate. Contending that public hospitals are facing a funding crisis, the report highlights that emergency room waiting times continue to increase and bed number ratios remain static. Innovation within the healthcare sector has delivered mixed results in Australia, with the nation’s hospitals and healthcare services using new technology and fresh approaches to meet the evolving needs of the population, but not without failures and setbacks. Technological advances have transformed many industries and the healthcare sector is no exception. 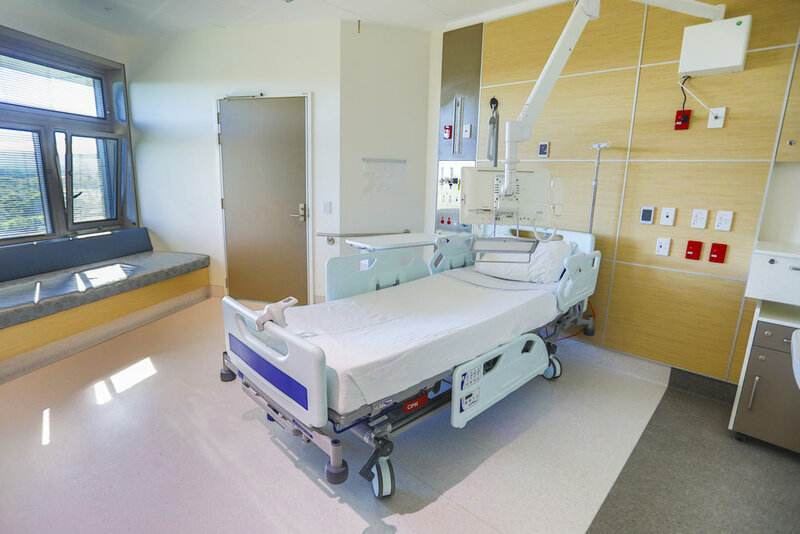 Two landmark hospital developments recently constructed in Australia show the changing face of hospitals and the impact that technological advances have on how healthcare infrastructure is planned, designed and built. 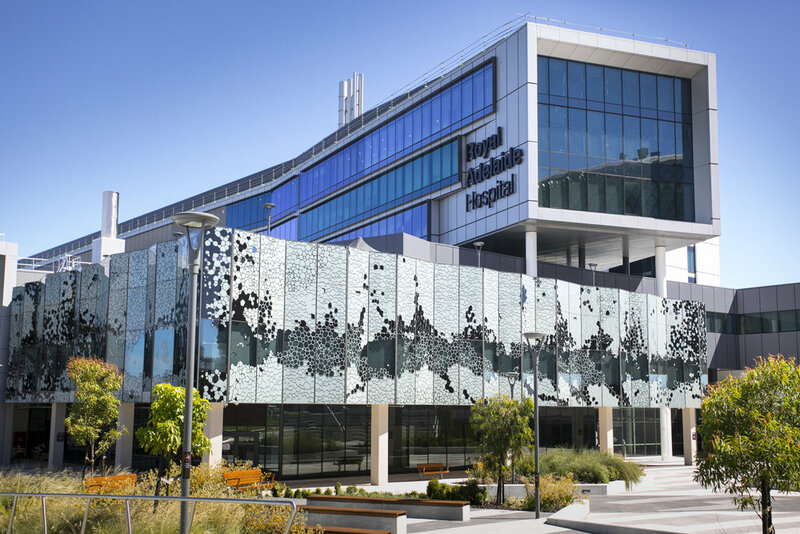 As Australia’s most expensive building and South Australia’s largest capital investment project, the new Royal Adelaide Hospital (nRAH) was heralded as a game-changing facility that would use an innovative approach to deliver optimal outcomes for the community. Costing $2.3 billion, the public-private partnership suffered many setbacks over the course of its construction. From budget blowouts to costly legal challenges, planning bungles and design flaws, the ambitious project has captured headlines for all the wrong reasons. Finally completed in September 2017, the 800-bed facility was described as “a hospital for the future” by the hospital’s Director Commissioning, Elke Kropf. Despite the challenges it has experienced in its short life, the nRAH remains an example of how modern healthcare facilities are more patient-focused than those of previous generations. Gone are the dour colour schemes found in hospitals of years gone by. Instead, natural light and green space are incorporated throughout the space, with 70 courtyards, terraces and sky gardens scattered across the site. Moving away from shared wards towards private suites, 100 per cent single overnight patient rooms offer greater levels of privacy to promote healing. Mirroring the move to automation evident in other industries, the hospital harnesses new technology to automate many of its key functions. An automated pharmacy distribution system (one of the largest in Australia) supports fast, precise distribution of medicines. Diagnosis and treatment of infectious diseases is supported by the largest automated microbiology system in the Southern Hemisphere, while a digital instrument tracking system efficiently manages equipment. In Western Australia, the state-of-the-art $1.2 billion Perth Children’s Hospital designed by JCY Architects and Urban Designers, Cox Architecture and Billard Leece Partnership with HKS Inc also experienced extensive delays and budget blowouts. Opening in May 2018 (almost three years late) the hospital design prioritises the patient experience by affording more privacy than hospitals of the past. Three-quarters of the 298 beds are housed in single rooms, while family lounges and parent accommodation facilities are designed to provide comfort and ease stress for loved ones. While hospitals remain a priority for healthcare funding, what about people who don’t live within cooee of one? Australia’s vast land mass and significant number of regional, rural and remote communities make delivery of essential health services to people living far from metropolitan hospitals an ongoing challenge. The birth of key technologies such as the internet has led to the emergence of telehealth services that can overcome some of the barriers that prevent rural-dwellers from accessing healthcare. The Royal Flying Doctor Service (RFDS) Victoria has provided telehealth specialist services to rural Australians since 2013, enabling rural communities to access health services without leaving the community. The free service started in Mildura and has now grown to service many more communities in need. Offering endocrinology, cardiology, psychology, psychiatry and respiratory services, the telehealth program operates in a number of rural regions, including Swan Hill, Mildura, Kerang, Edenhope, Nhill and Warracknabeal. A purpose-built platform that operates from a single portal, the RFDS telehealth service not only allows patient and clinician communication but also enables appointment viewing and scheduling, and document storage and sharing. A share-screen feature also allows clinicians to show patients diagrams and pictures. “Back in the day hospitals bought these large, complex systems with double screens for telehealth, but with our system all you need is a laptop or iPad with a camera and access to the internet,” explains Margaret Kuhne, General Manager, Primary Health Care at RFDS Victoria. Helping people to stay within their community to access specialist medical advice, the telehealth program reduces the huge distances that rural-dwellers travel to attend specialist medical appointments. Many patients are unable to drive or take time away from work to attend appointments in the city, so the telehealth service has improved the lives of many Australians living with chronic disease. Kerang resident Ron Hick used to undertake a 600km round trip to see a diabetes specialist but now uses the RFDS telehealth service instead. “The greatest impact for me has been the fact that instead of having to travel four hours each way to see my specialist, I now travel four minutes. I have great respect and admiration for the service,” says Hick. The ability to operate off low bandwidths means areas without NBN access are still served well. “While it’s not suitable for every type of consultation, it’s gradually becoming the option of choice where appropriate, as patients are saving time and money,” says Kuhne. Because it is a cost- and time-effective way for service providers to reach rural communities, the expansion of telehealth services to other communities is a priority. “It takes time to physically transport a clinician from the city to a remote community, whereas clinicians could spend that time seeing patients via telehealth appointments and therefore see a greater number of people across a range of locations,” Kuhne explains. Plato may have coined the phrase “necessity is the mother of invention” centuries ago, yet for healthcare providers delivering essential services in Australia’s many remote communities, necessity still drives innovation. 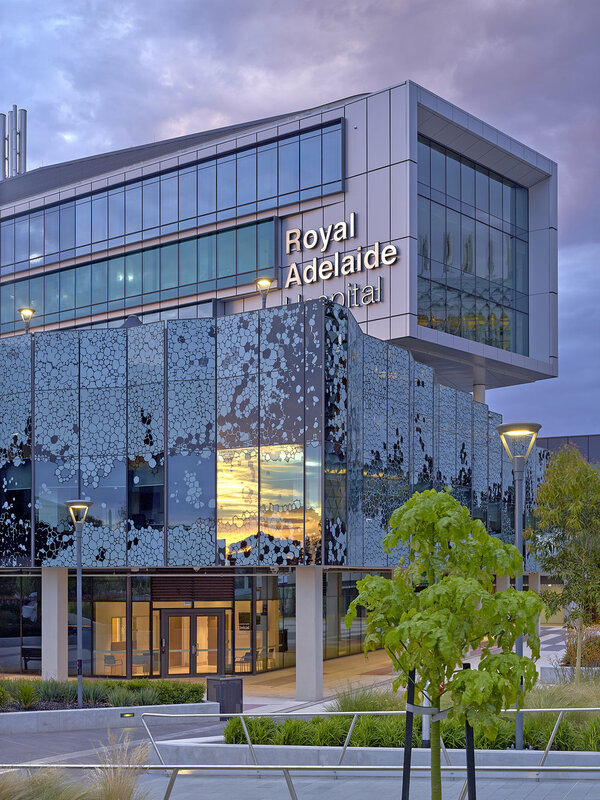 With a 1.6-hectare footprint of green space, high-efficiency water fittings and an on-site heat generation system that uses waste heat, the new Royal Adelaide Hospital has been awarded a 4 Star Green Star rating from the Green Building Council of Australia (GBCA). More than 88,000 people across Australia took part in a Royal Flying Doctor Service telehealth or telephone consultation in 2016/2017. 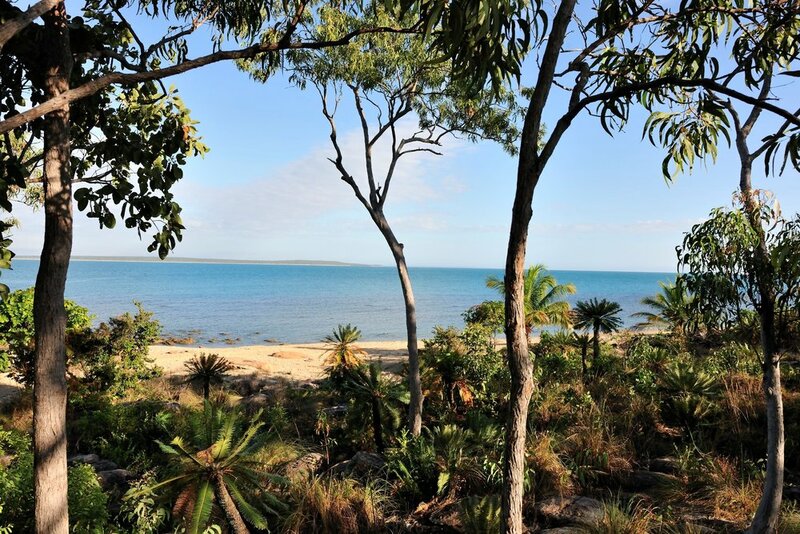 In the remote far reaches of the Northern Territory, Groote Island is a journey through thousands of years of remarkable Aboriginal culture few tourists are lucky enough to traipse. Calling Bathurst home, Chezzi and Grant Denyer are thankful to connect with their community by lending a helping hand to causes that support farming families doing it tough.